This wasn’t the first round-up of Jews in occupied Paris, but it was the largest yet, and a turning point, both in the persecution and in the resistance to it. 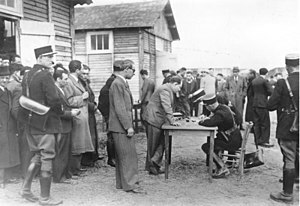 It shattered the illusion that in France, the land of liberty, equality and fraternity, nothing too terrible could happen, even under Occupation – an illusion which had led many to register themselves voluntarily, thus providing the information required for the round-up. It showed the extent of collaboration, with the round-up being executed by French police, not by the Germans. And it shattered the myth that the deportations were intended to provide workers for the Reich, when young children, the elderly, the sick, pregnant women, were taken, as their neighbours watched. François Mauriac wrote in his clandestine publication Le Cahier noir: ‘Entire races are condemned to perish. At what other moment in history have the prisons been so full of innocents? At what other era have children been dragged from their mothers, crammed into cattle trucks, as I saw one sombre morning at Austerlitz station?’. People saw, and some were moved to active resistance by what they saw. It is 70 years since this event. Do we still need to tell this story? In 2010 two new films came out which focused on the Vel d’Hiv round up, and the responses (if one sets aside those which focused on the merits or demerits of the films themselves) were polarised. Some critics felt that they were fulfilling an indispensible ‘devoir de mémoire’, particularly in drawing attention to the responsibility (only publicly acknowledged in the 1990s) of the French authorities , whilst audience members spoke of being shocked and overwhelmed. On the other hand, some felt it was counterproductive – that the constant telling and re-telling actually creates ‘une certaine lassitude’, that if the younger generations see ‘remembering’ as a chore, the temptation to forget will become ever stronger. 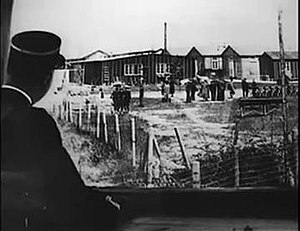 In reality, whilst the fact of the event was not denied, the responsibility of French officials was (a nano-second clip of a gendarme’s cap in Resnais’ Nuit et Brouillard had to be cut before the film was released). Of those most particularly responsible for the round-up, only Pierre Laval was executed – Louis Darquier de Pellepoix escaped to Spain and died free and utterly unrepentant, and Rene Bousquet was acquitted immediately after the war, and assassinated in 1993, just before he was due to stand trial. France did, it is true, lose only 20% of its Jewish population – if one counts only Jews with French nationality. They managed this by offering up non-naturalised Jews, aiming to meet their deportation quotas by filling the convoys with foreigners for as long as possible. To make up the promised numbers, the Vichy leadership persuaded the Germans that children should be taken along with their parents, even though most of them had been born in France and were therefore French citizens. And on the day, the official exemptions eg for women in late pregnancy or with new babies were ignored. This deal with the devil did, arguably, save the lives of many naturalised French citizens who were Jews – some were not arrested until much later so giving them slightly better odds of survival, and others had time to find a way of escaping or living under cover. But non-French Jews clearly didn’t count. They were expendable. And did all the deported children die in the camps? Of those deported after this round-up, yes, all of them. The only survivors were those children who managed to escape either from the velodrome or from the transit camps. And of the 11,400 children deported in total from France, 200 did come back. 200. So, as I’ve said elsewhere, we must remember, in order to preserve the truth, in order to give back to the victims their names, their voices, their stories. Pamphlet distributed by the Mouvement national contre le racisme, September 1942. French mothers and fathers, young people, teachers, educators! When you kiss your child goodnight in bed before their happy sleep, in the morning when you catch their first smile on waking, think of those hellish trains where, crammed in like a herd of beasts on the way to the abbatoir, 2000 little Jewish children, alone, abandoned to their mortal anguish, crying with terror and thirst. Is there anywhere in the world, in all modern history, anything more atrocious, more inhuman, more barbaric than the torture of innocent children? These children, just like yours, have mothers and fathers ready to protect them. But they are dragged from them without pity, with bestial savagery. .. These horrors happen amongst us, on our sweet French earth, with the complicity of the French government collaborating with those who starve us, who loot our treasures, who hold our prisoners, who murder the patriots fighting for a free and happy France…. Protest to the authorities! Shelter, protect, hide Jewish children and their families! Do not let them be handed over to Hitler’s killers! Save the honour of France! 15 July – Something is about to happen, something which will be a tragedy, perhaps the tragedy. M Simon came here this evening to warn us that there was talk of a round-up of 20,000 people the day after tomorrow. 18 July – I thought on Thursday that life would stop. But it continues. … [Mme Bieder’s] sister who has 4 children, has been taken. The evening of the round-up she hid, but unfortunately came back down to the concierge just at the moment they came to look for her … They are separating mothers from their children. I am noting the facts, hastily, so as not to forget, because we must not forget. These black hours will stain our history for ever and are an injury to our past and our traditions. Yes, the criminal madness of the occupant was assisted by the French, by the French state. Fifty-three years ago, on 16 July 1942, 450 policemen and gendarmes, French, under the authority of their leaders, obeyed the demands of the Nazis. That day, in the capital and the Paris region, nearly 10,000 Jewish men, women and children were arrested at home, in the early hours of the morning, and assembled at police stations… France, home of the Enlightenment and the Declaration of the Rights of Man and of the Citizen, land of welcome and asylum, France committed that day the irreparable. Breaking its word, it delivered those it protected to their executioners. Sarah’s Key, 2010. French film directed by Gilles Paquet-Brenner and produced by Stéphane Marsil.